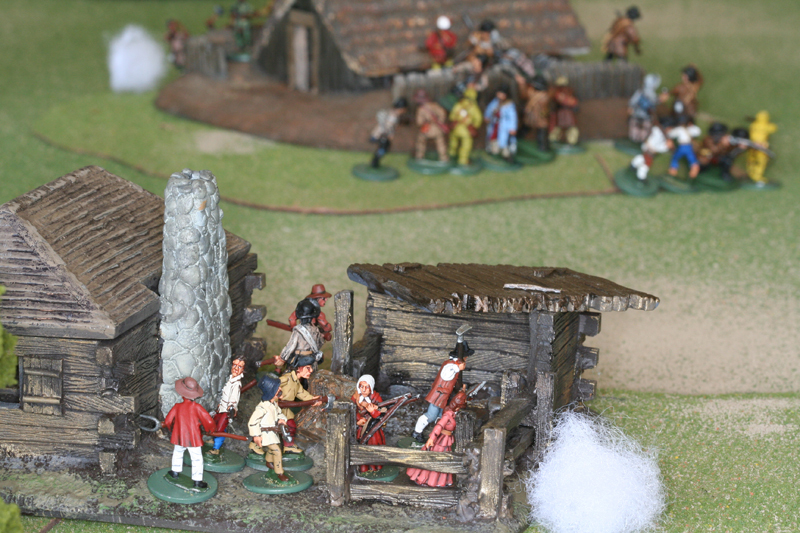 The Waco Chapter of Lone Star Historical Miniatures is located in the Heart of Texas (HOT) and is centered around Waco and the surrounding communities. 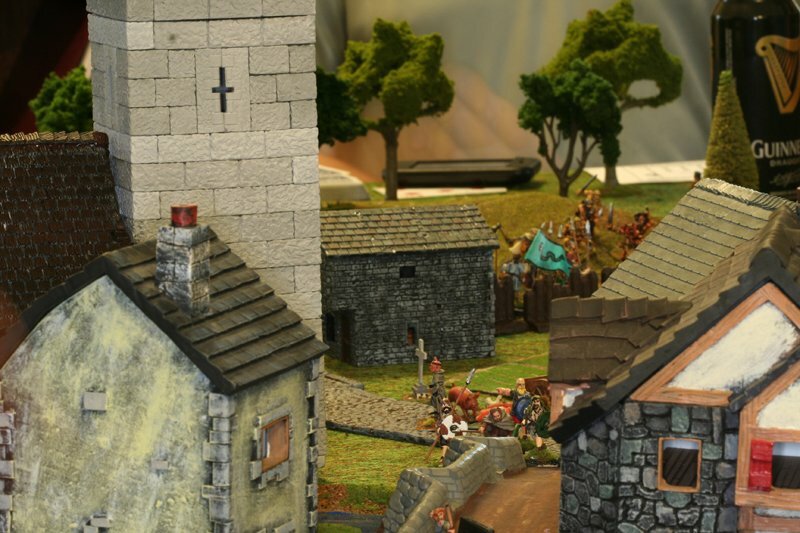 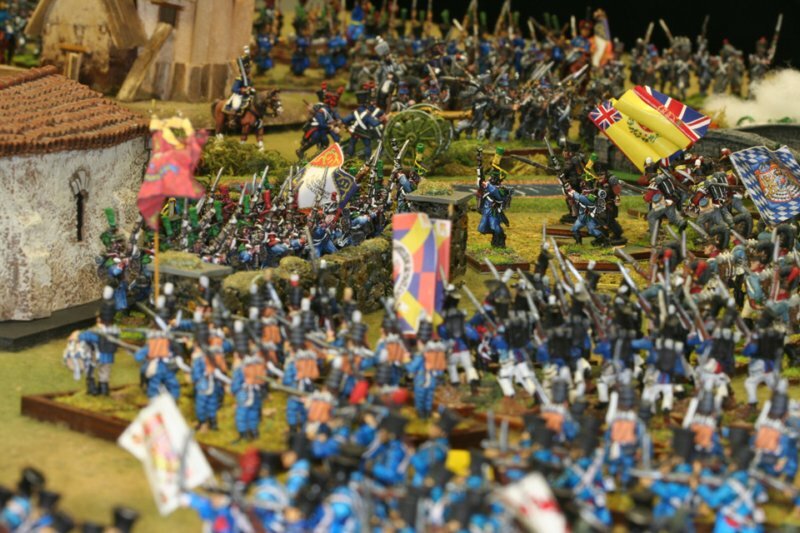 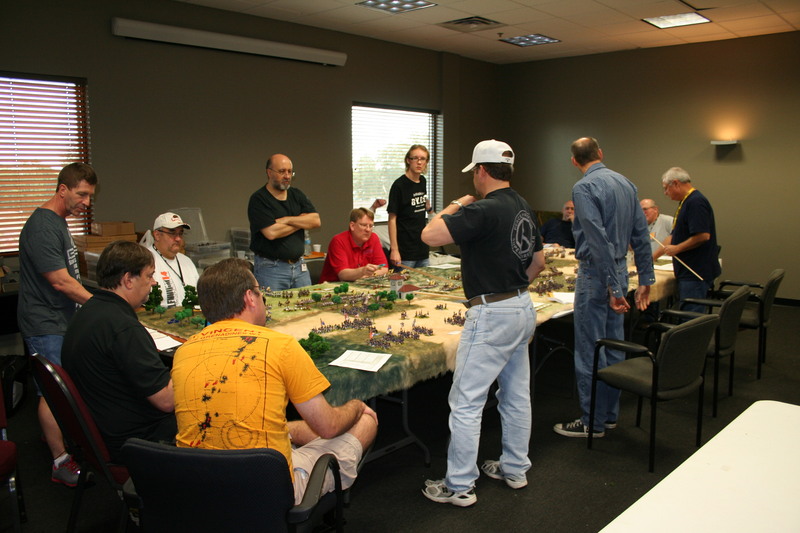 The chapter supports miniature war gaming, as well as, board games and computer based simulations. 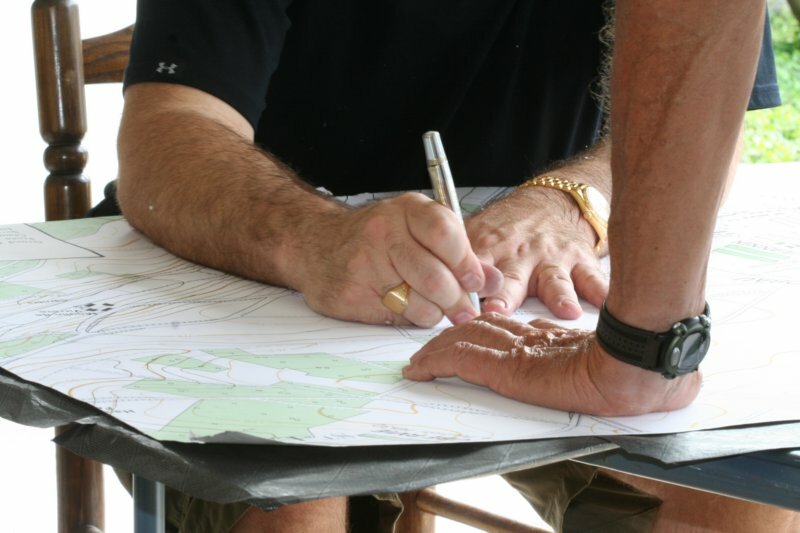 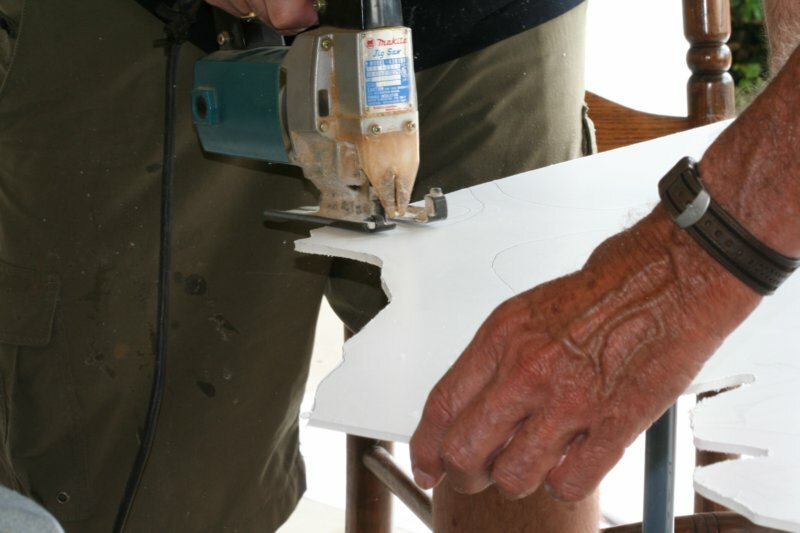 Currently, we do not have a regular meeting schedule but we commonly meet at a host home. 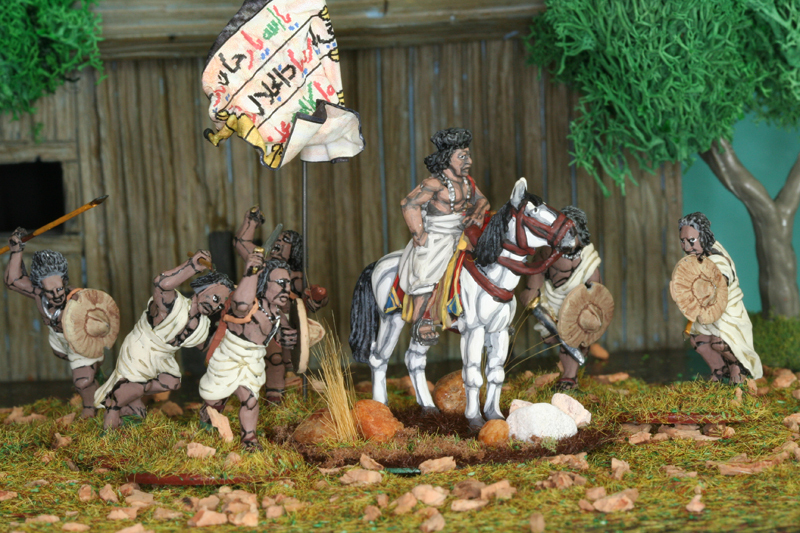 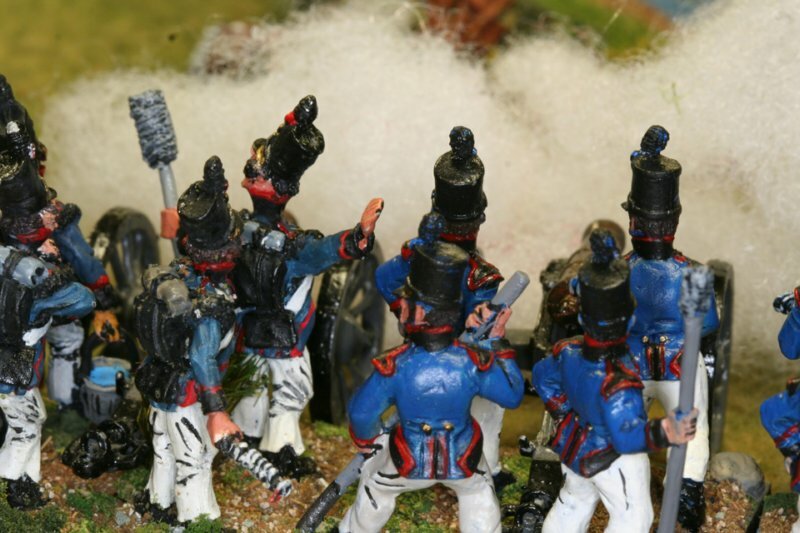 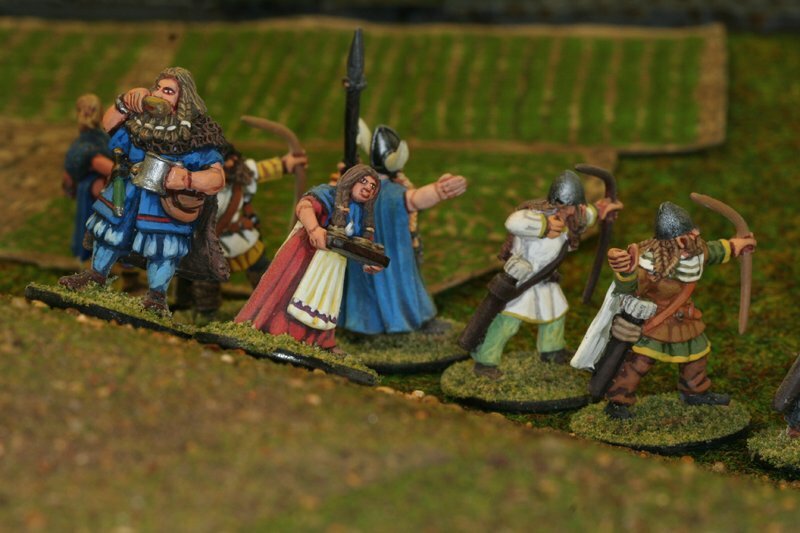 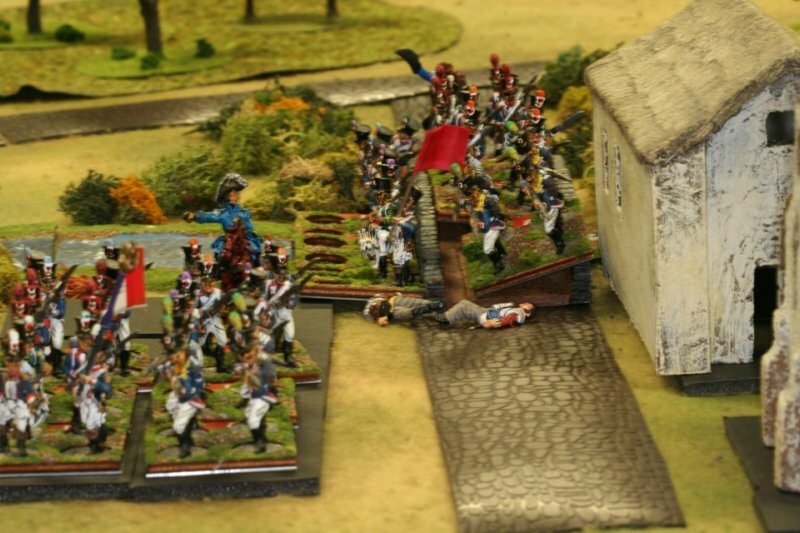 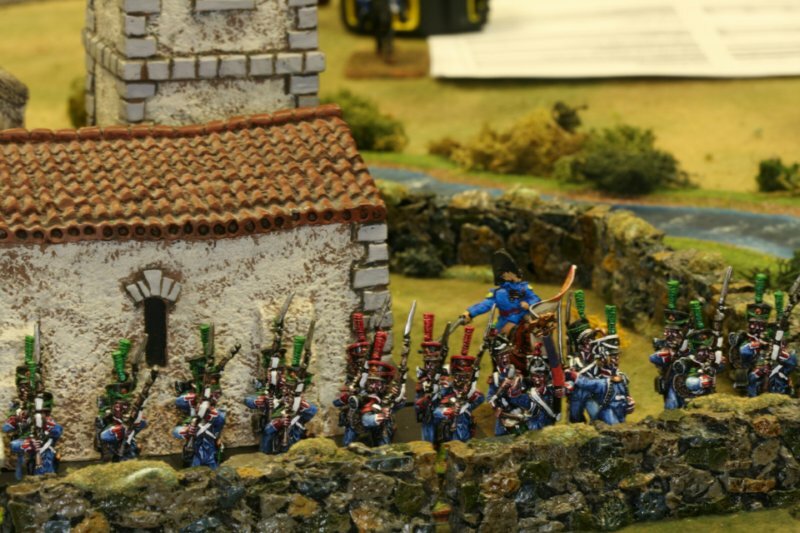 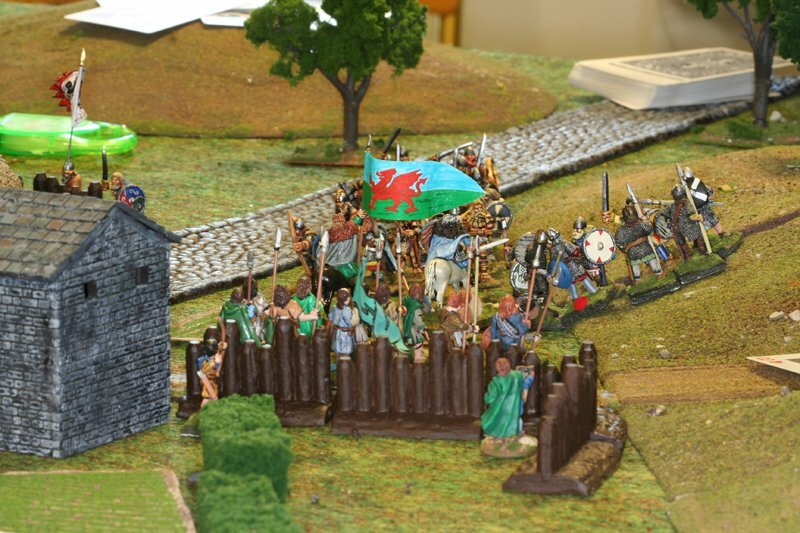 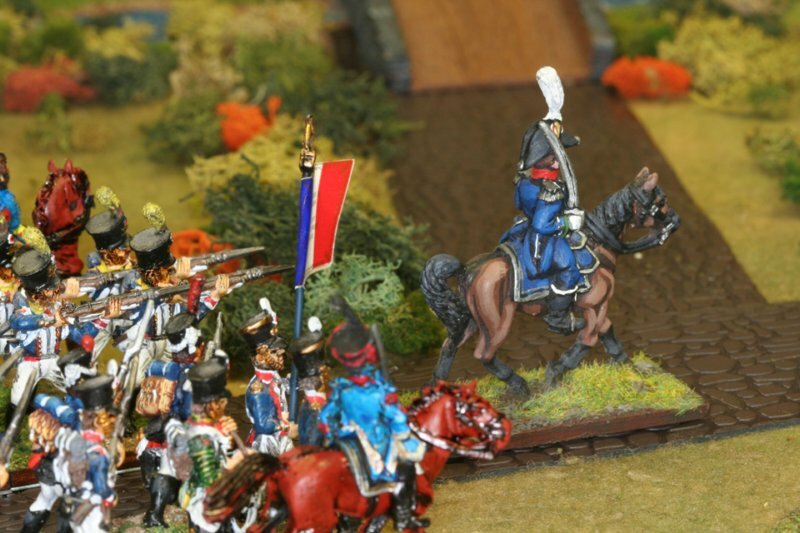 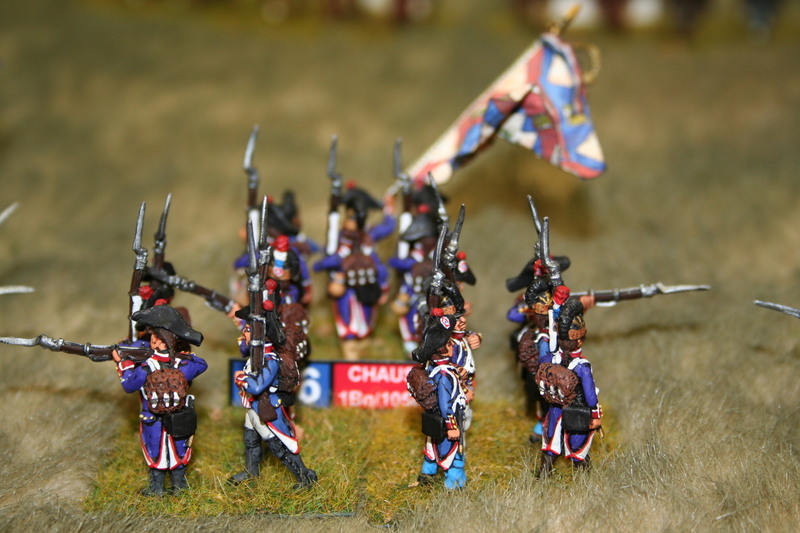 The Waco Chapter of Lone Star Historical Miniatures charges no fees to its members. 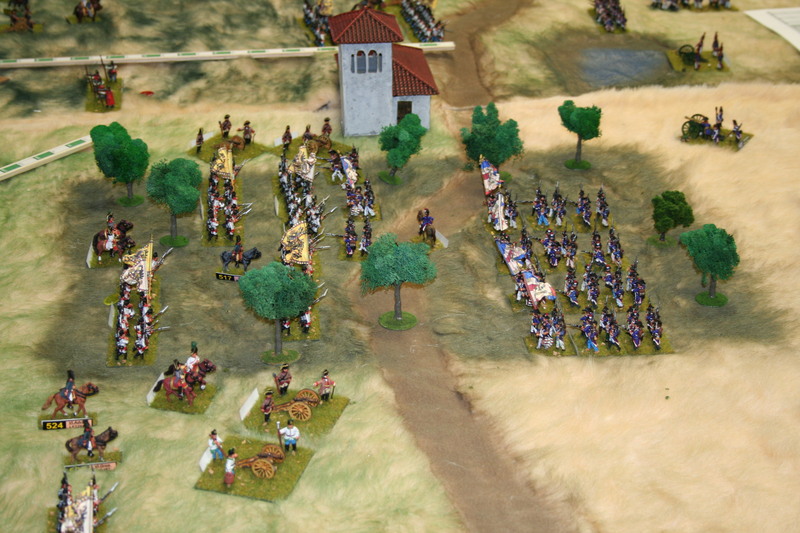 Suvorov launches his army into Italy, but this time Napoleon is present. 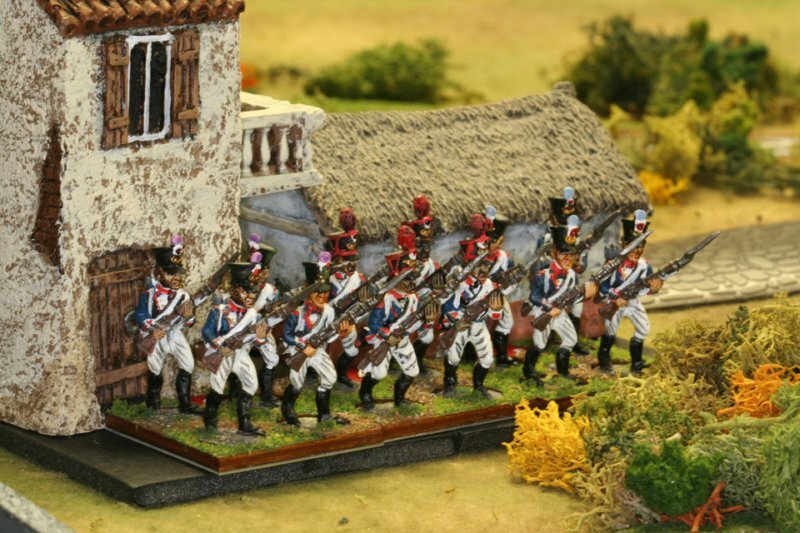 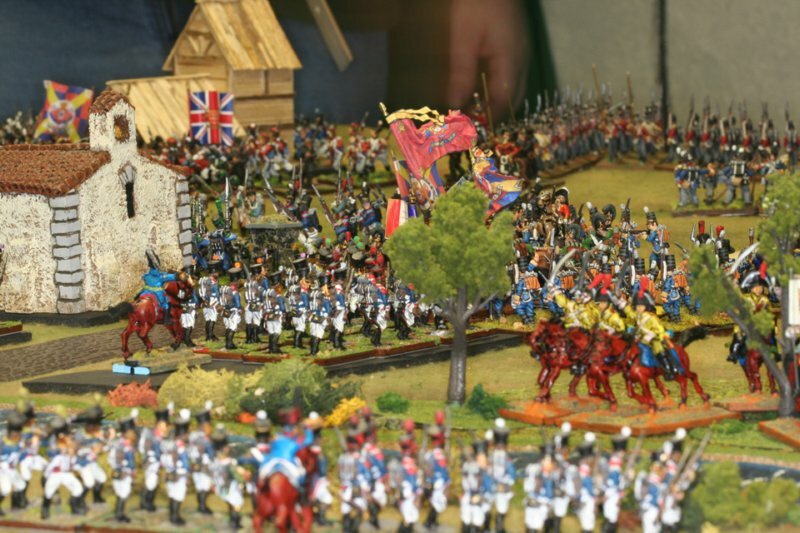 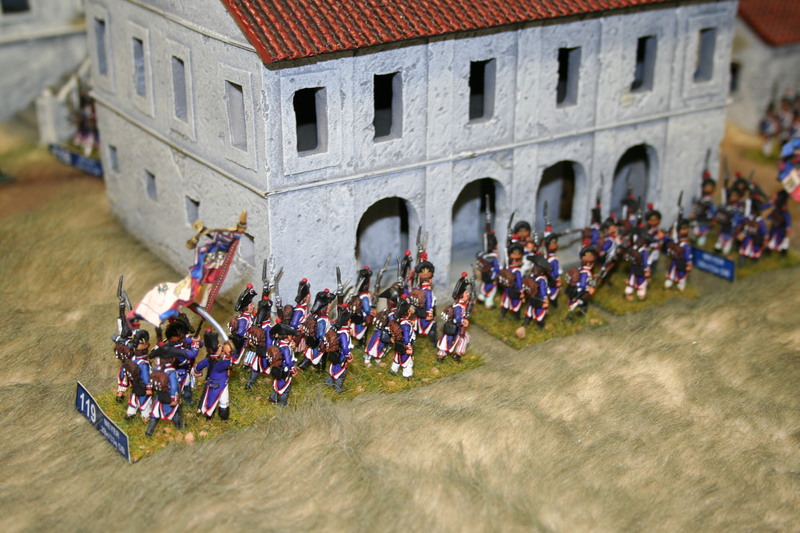 Using the full and outstanding 28mm Eureka French Revolution line of figures (and a few Trent and Mirliton figures which totals over 1000 figures), and played on a 6x18ft table, this battle will mirror the largest historical engagement in Italy in 1799. 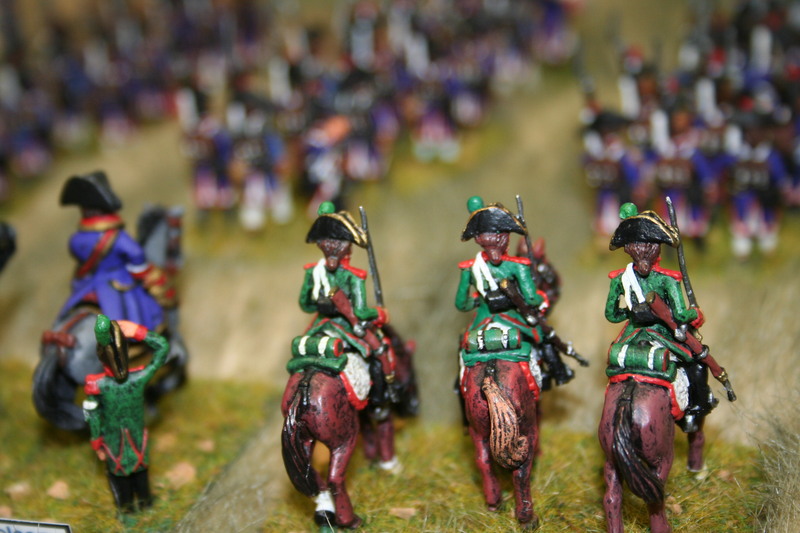 The primary difference will be the presence of Napoleon. 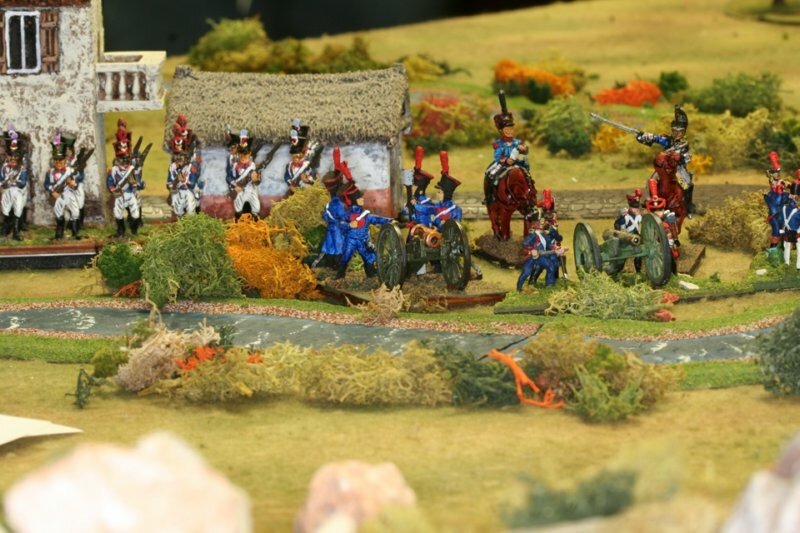 Suvorov did not lose in Italy, some say because Napoleon was absent. 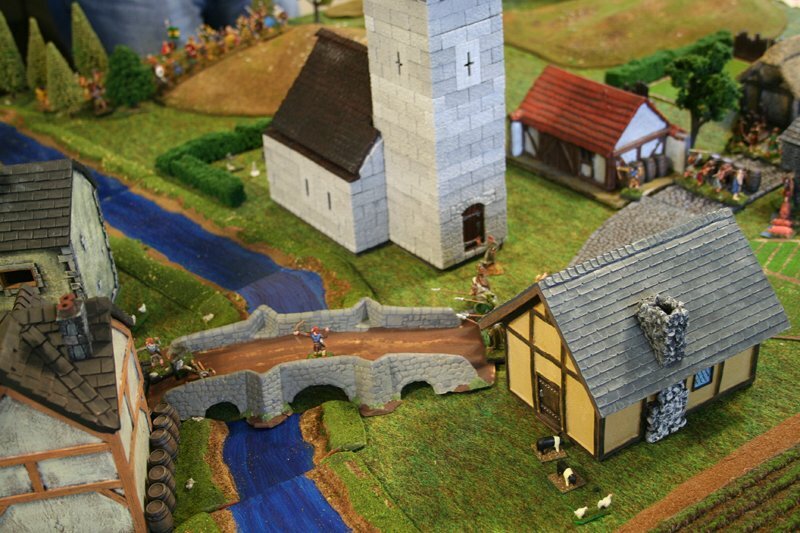 This is an opportunity to play the What-If. 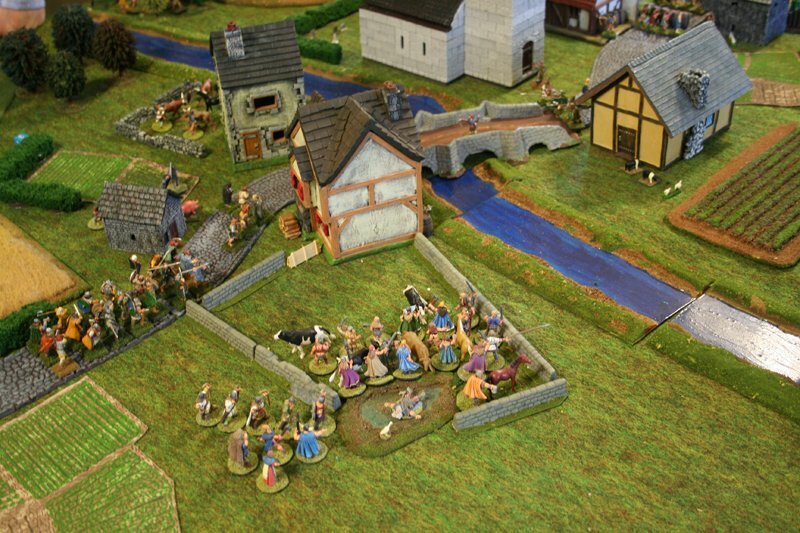 Rules: Carnage & Glory II. 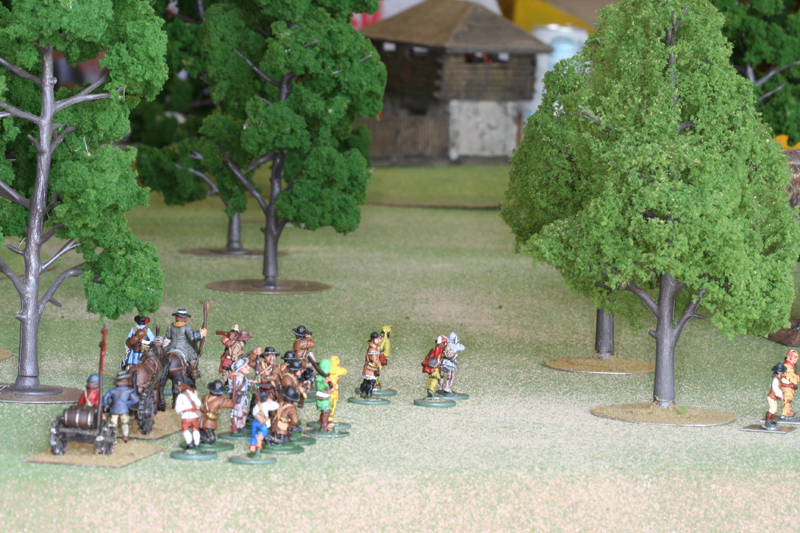 The mission was for the settlers to resupply the British fort. 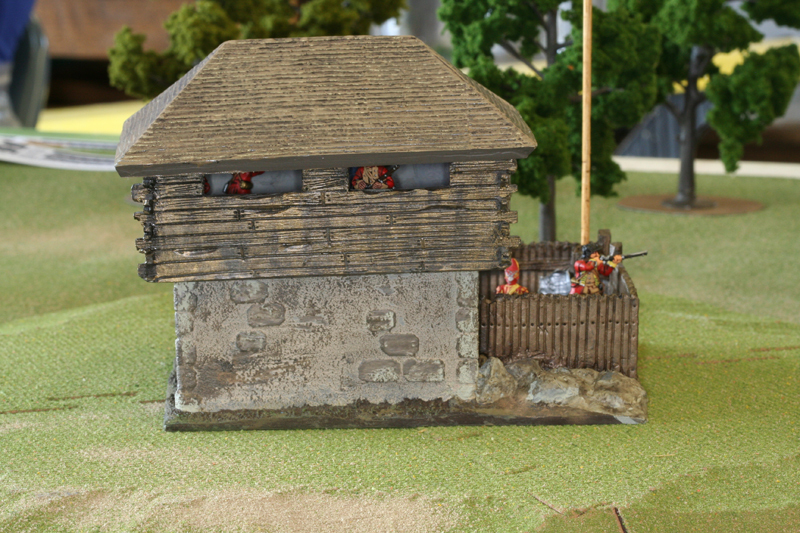 The Fort was supplied. 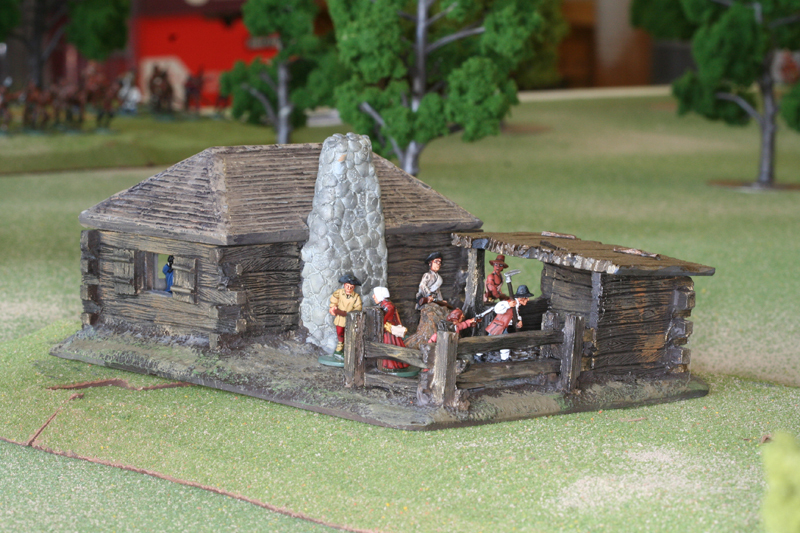 GM was Jim Dunnam. 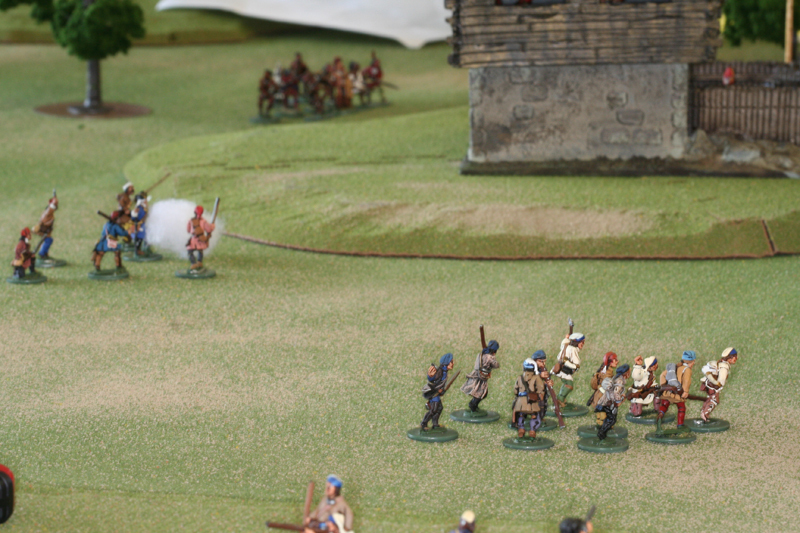 French and Indian Wars using the rules This Very Ground . 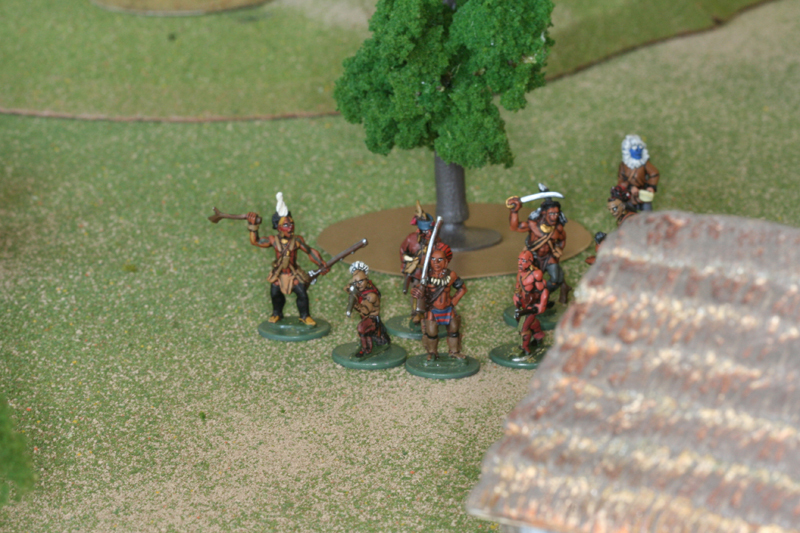 The British and settlers (Richard) versus the French and Indians (Mike and Lee) . 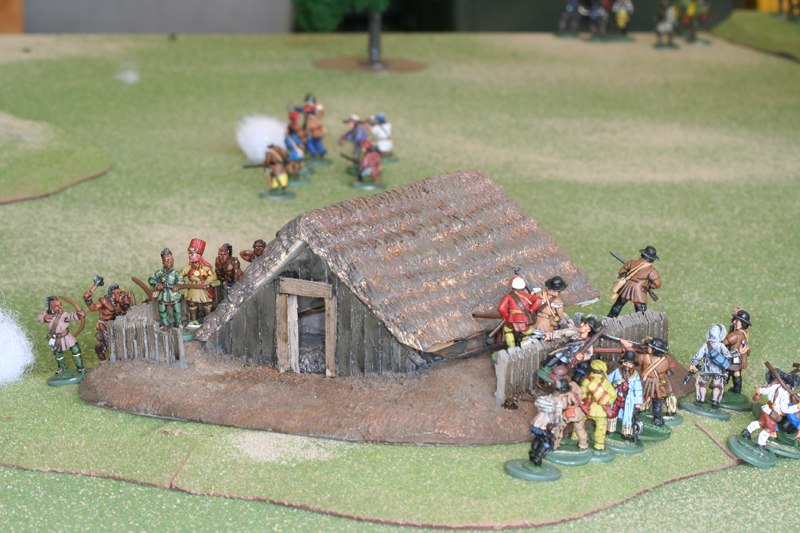 The mission was for the settlers to resupply the British fort. 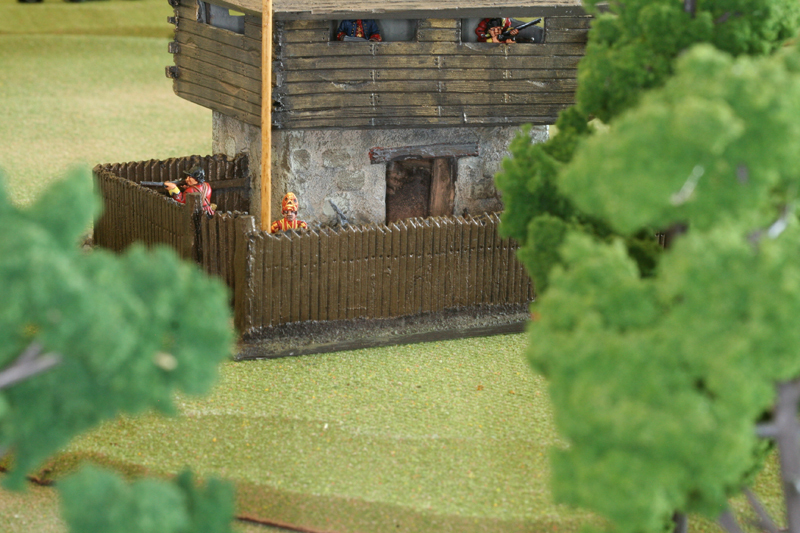 The Fort was supplied. 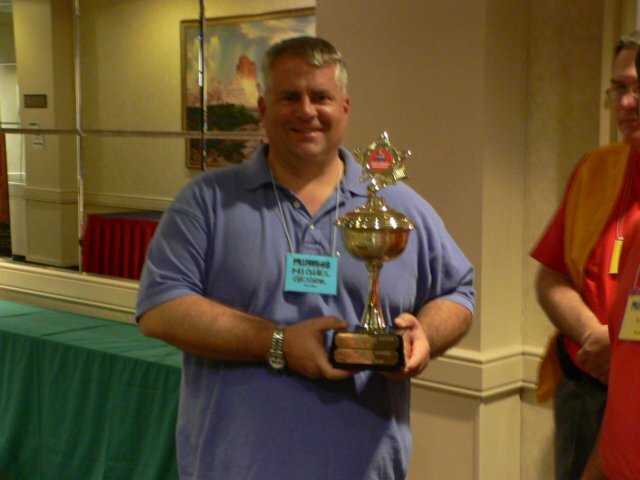 GM was Jim Dunnam. 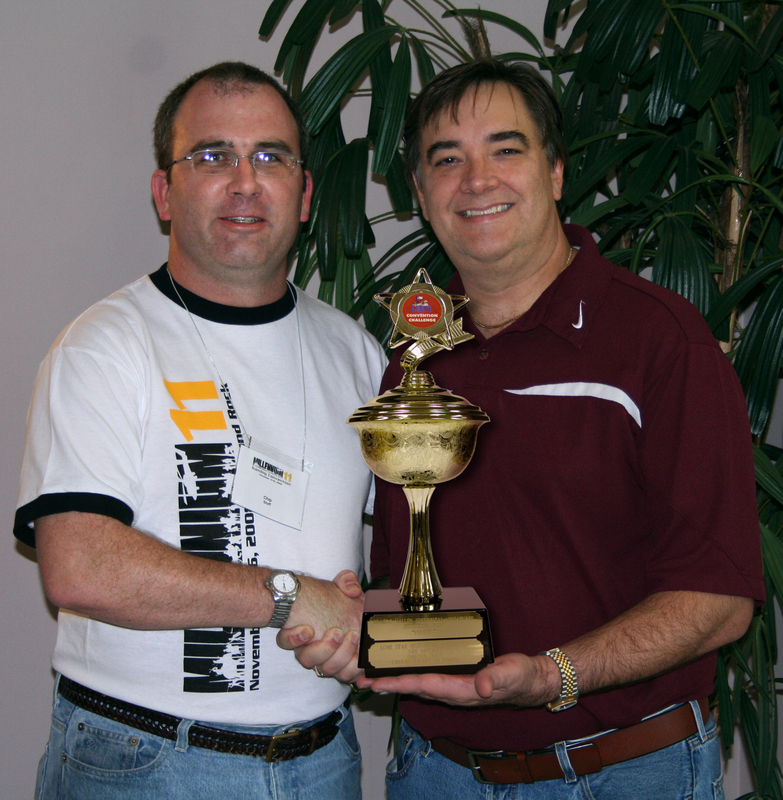 The LSHM Waco Chapter finally had a chance to actually play their 2011 LSHM Millenniumcon Cup Challenge winner. 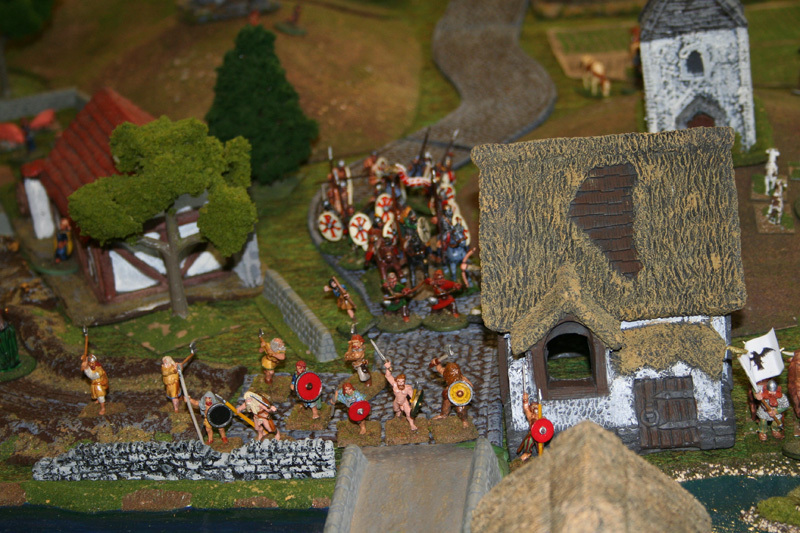 Jim Dunnam ran the game with Mike and Richard playing the Huns with Lee and Smythe Hardaway the Brits. 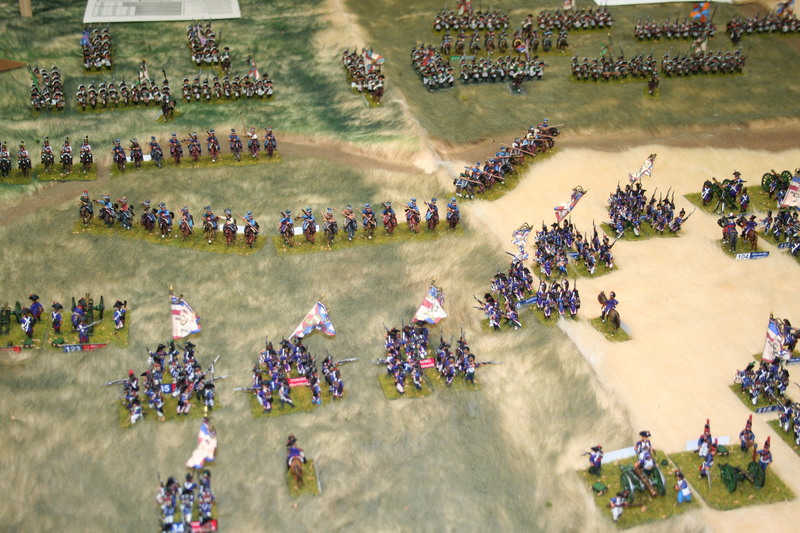 The game got over to a swift start with the right flank of the Huns under platoon commander Mike storming into the Brit's left flank under Lee. 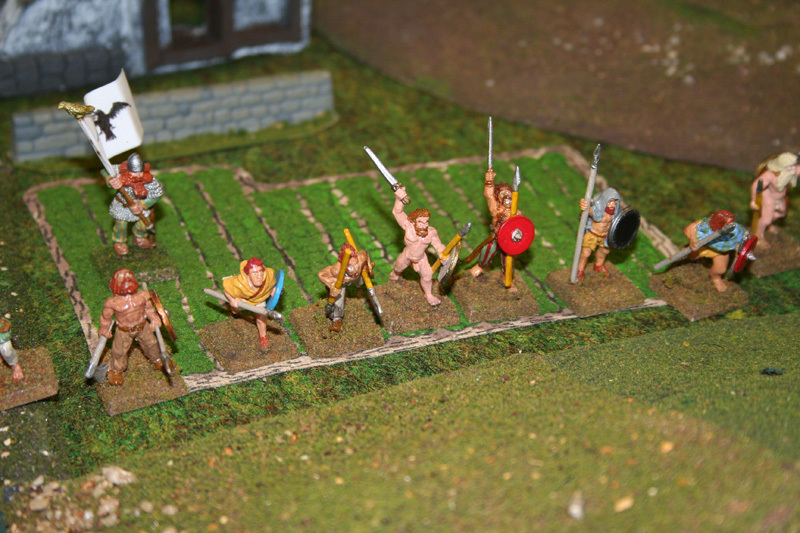 After a brief battle the Huns managed the take the trenches on their frontage. 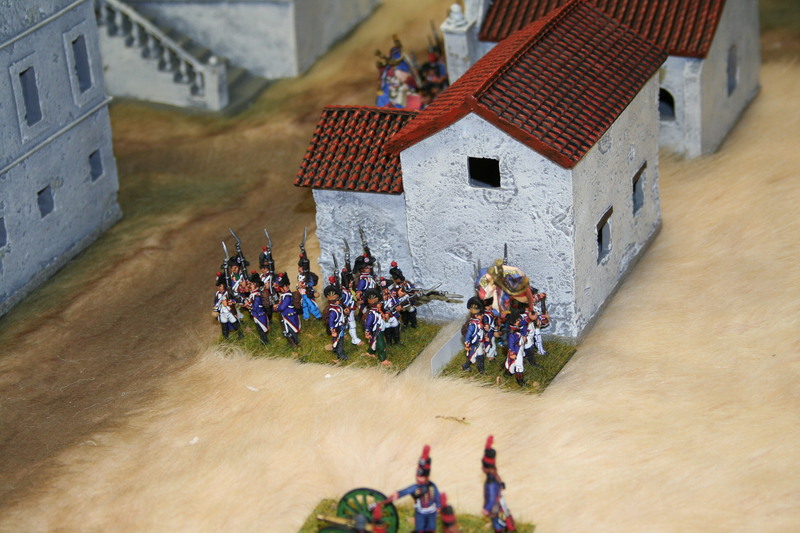 The action on the other flank was not as dramatic. 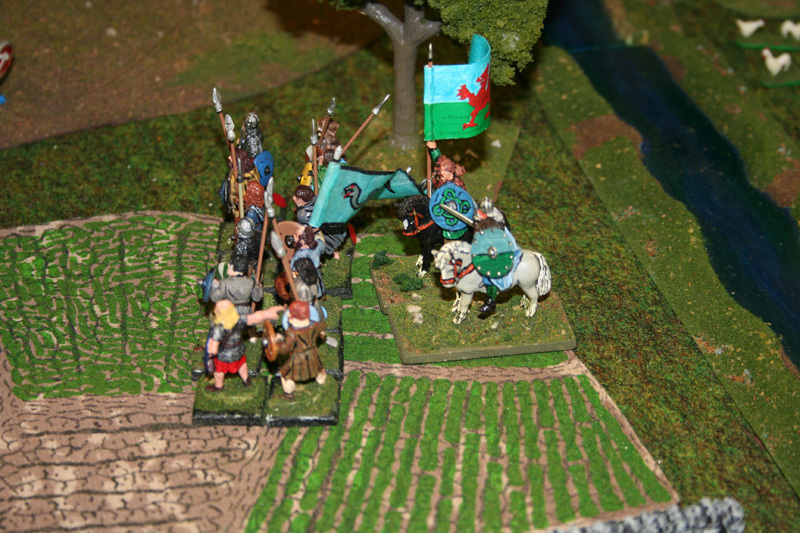 With the usual Richard and Lance die rolling, both sides managed to basically stay in the mud with very little blood for the entire game. 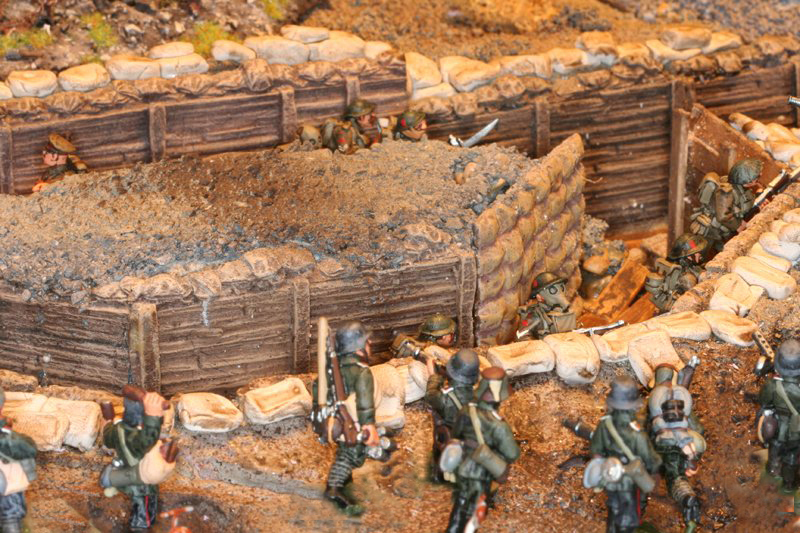 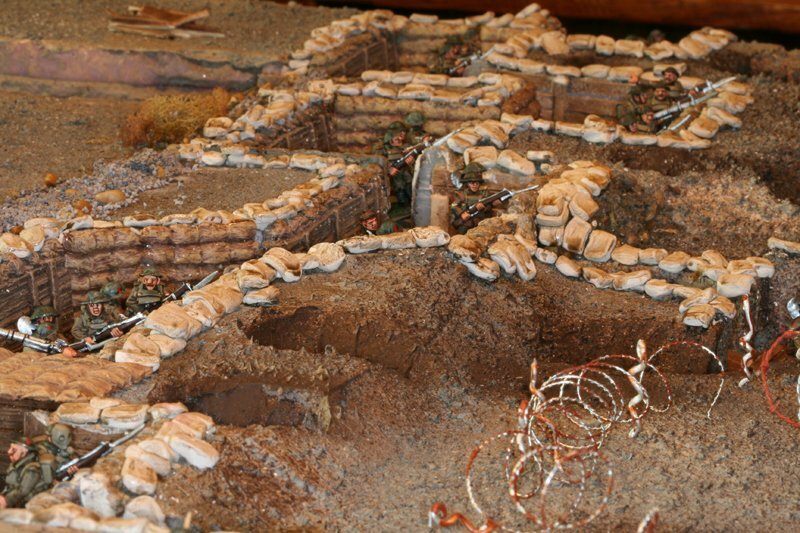 Photos of the Over The Top (WWI) trench warfare sponsored by Jim Dunnam and ECW sponsored by Mike Gesser for the Millenniumcon CUP Challenge for Millenniumcon 12+1. 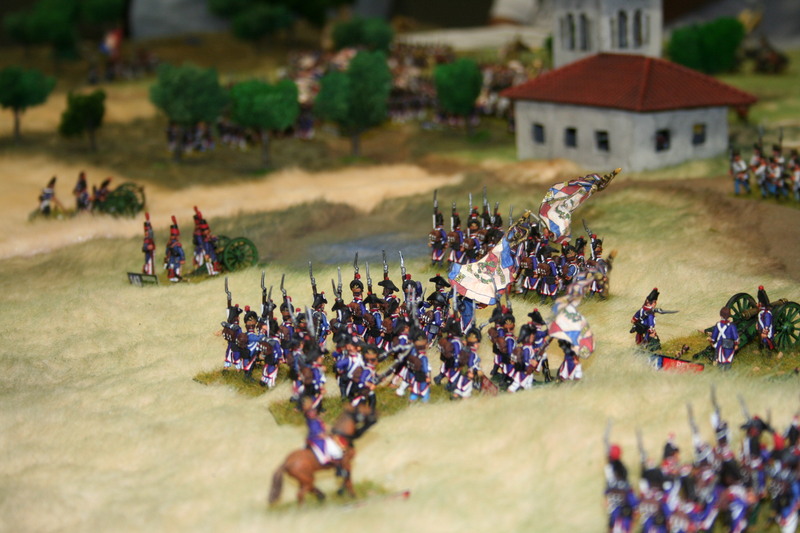 Battle of Vitoria - At the Battle of Vitoria (June 21, 1813) an allied British, Portuguese, and Spanish army under General the Marquess of Wellington broke the French army under Joseph Bonaparte and Marshal Jean-Baptiste Jourdan near Vitoria in Spain, leading to eventual victory in the Peninsular War. 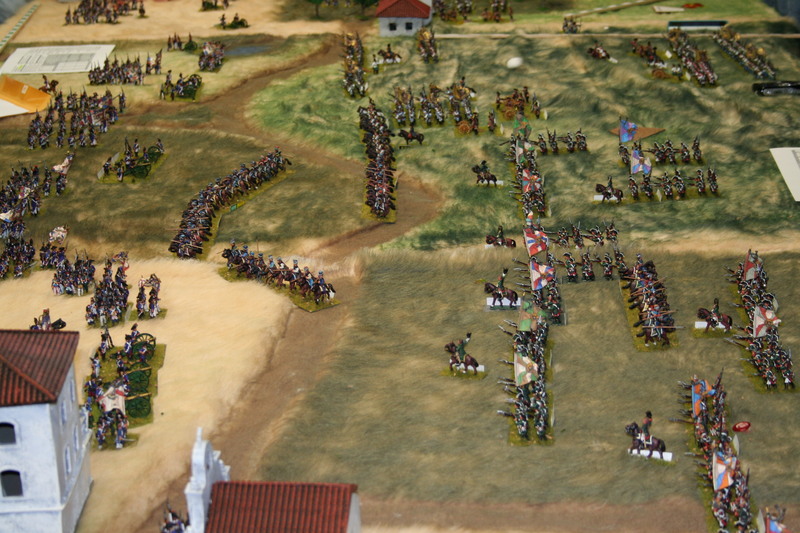 The game at Great Hall Game in celebration of Rob's old age recreated the left column under Lt. Gen Thomas Graham. 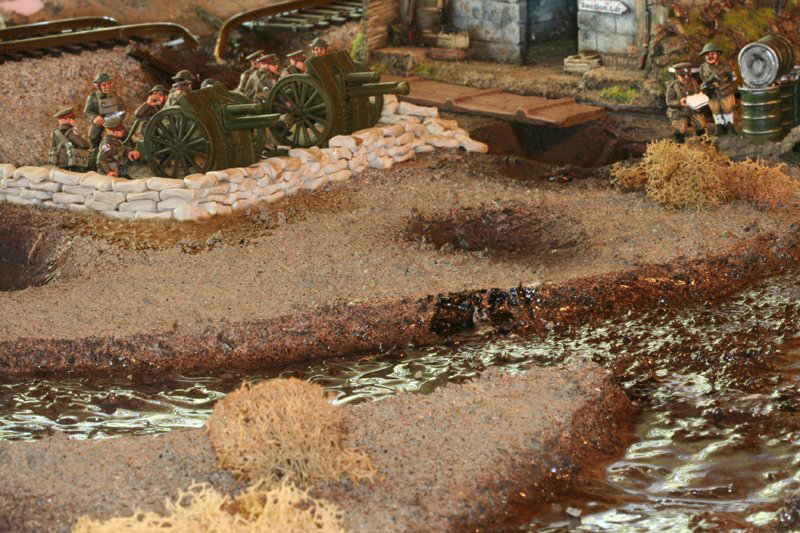 The goal was for the allies to cross one of the bridges across the river. 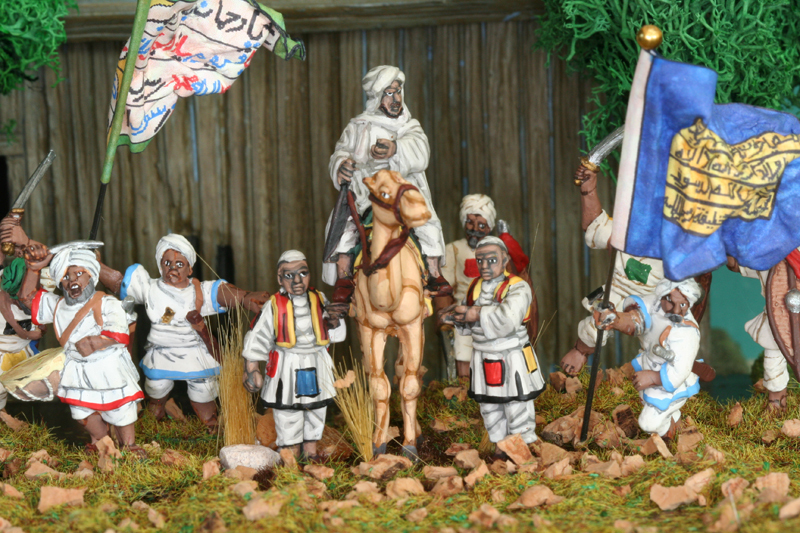 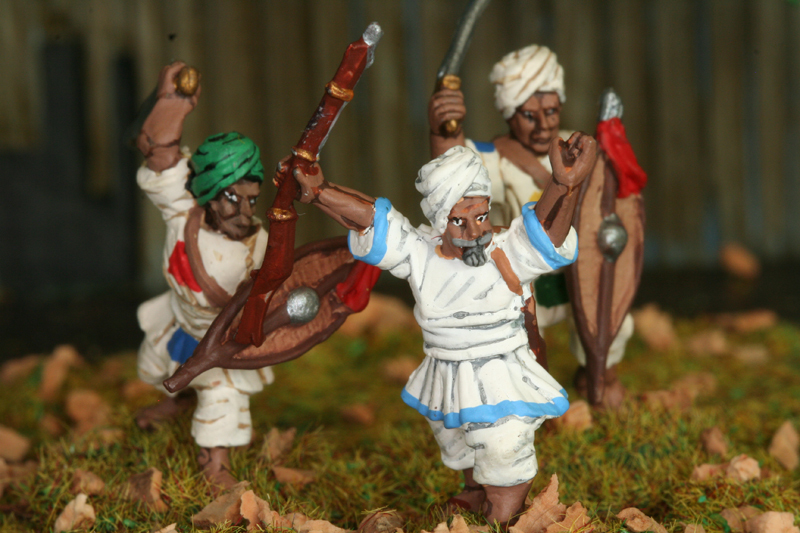 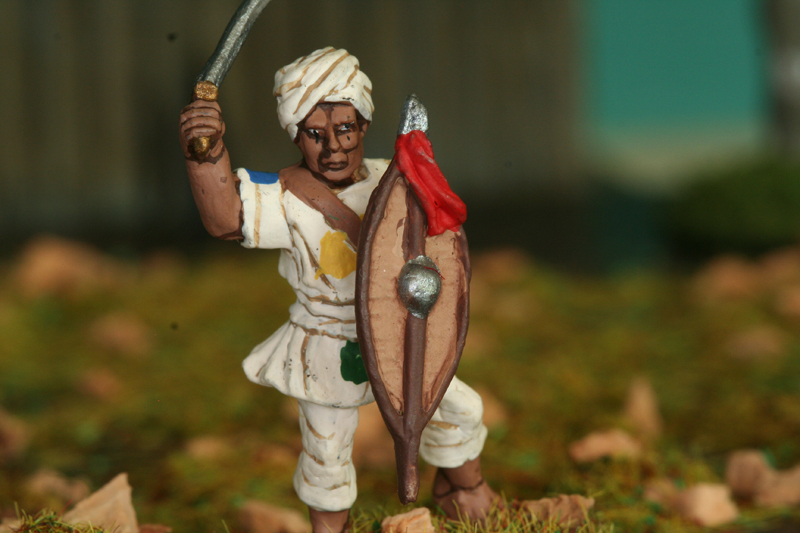 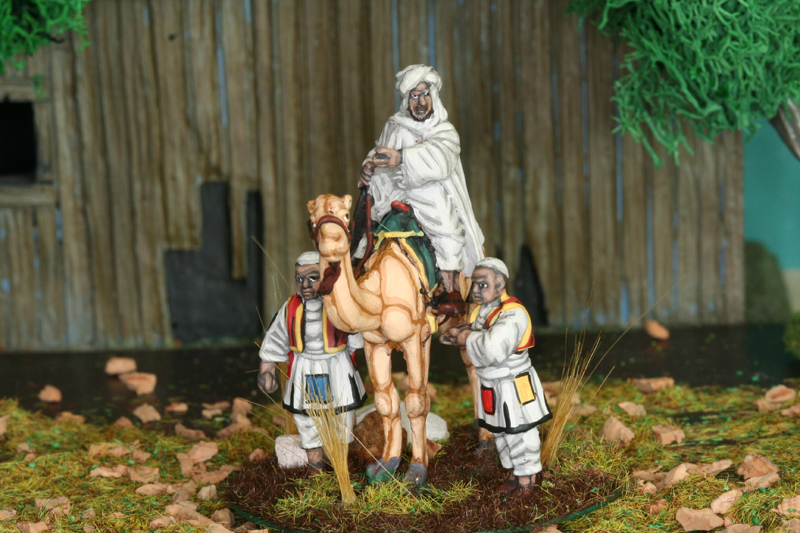 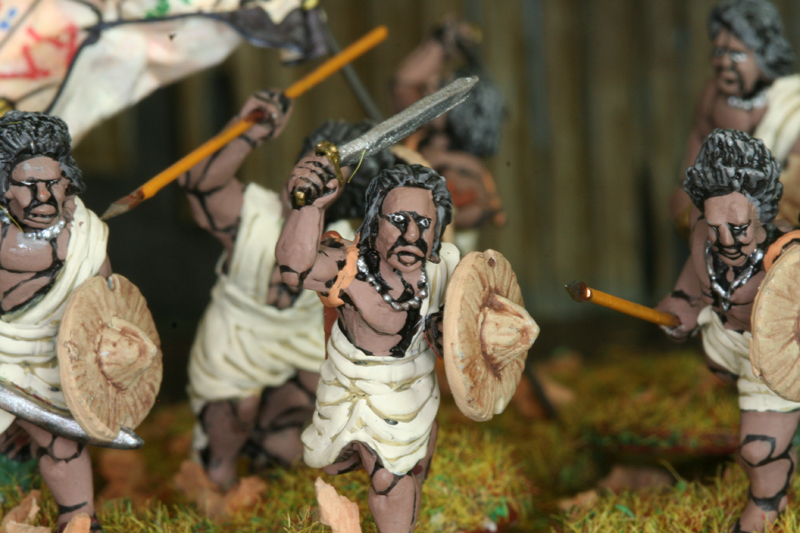 These are the figures for the Colonial Sudan collection. 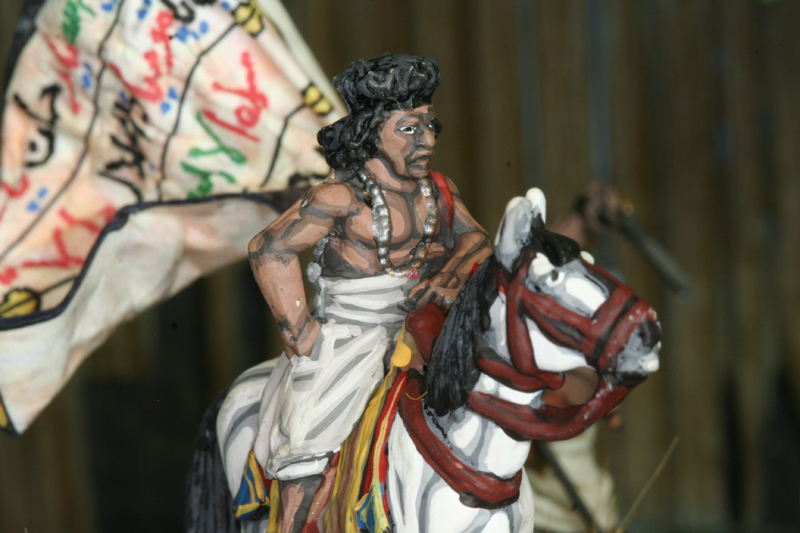 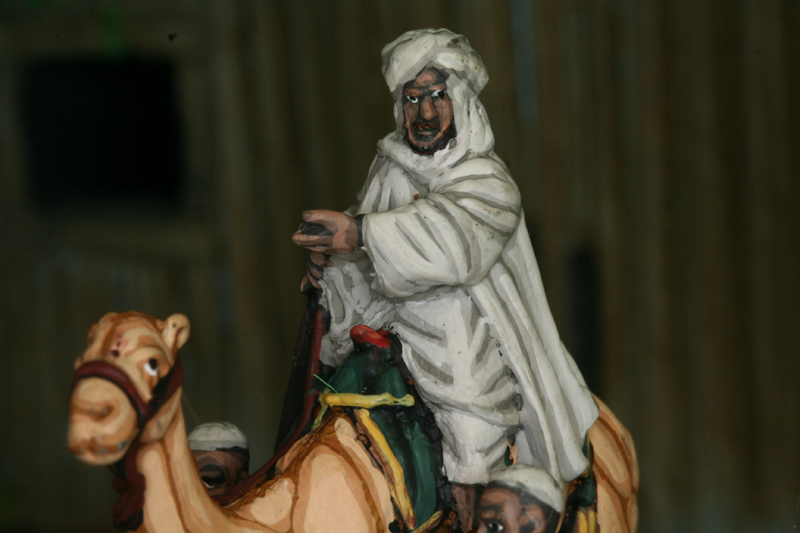 The figures are Old Glory and The Madhi mounted on the camel and Osman Digna mounted on the horse are from Perry. 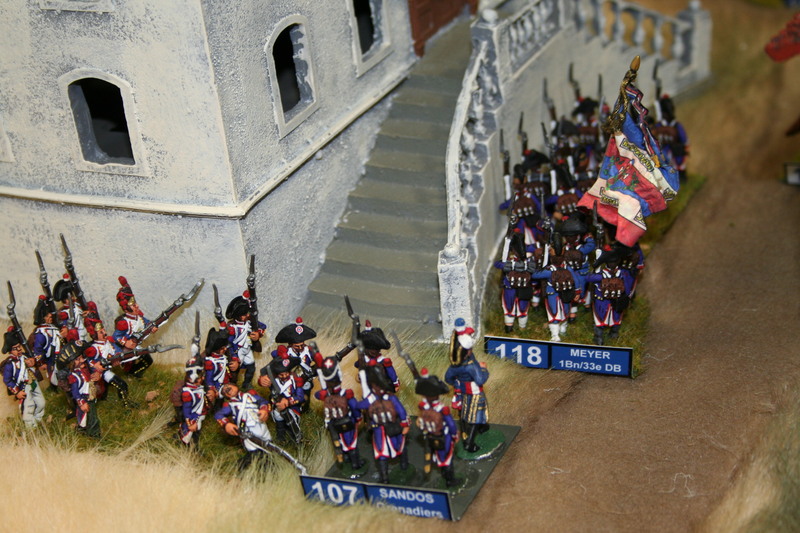 The flags are from the Flag Dude. 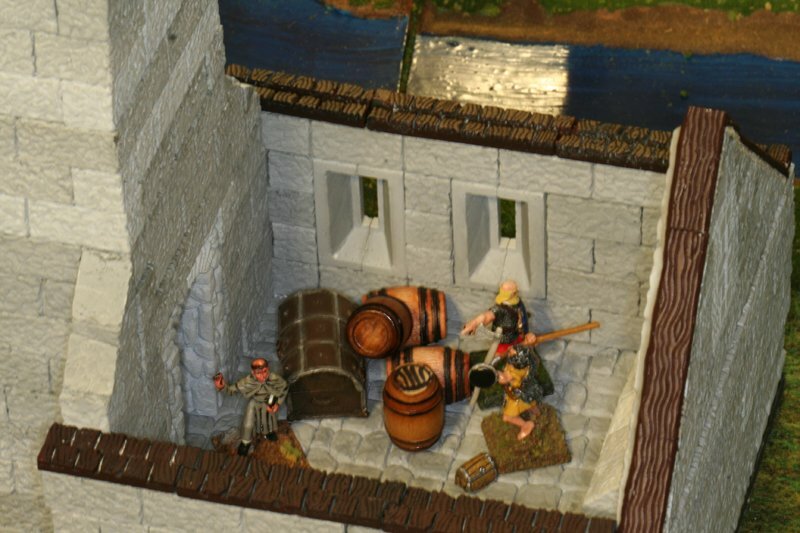 We did this building journal just for grins but I decided to post it here for the rest to see. 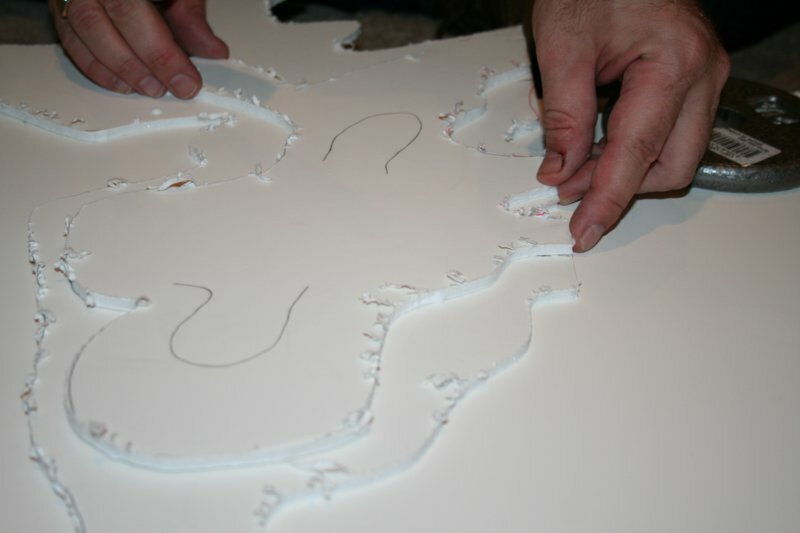 It was kind of an inside joke but it demonstrates how one builds scenery brick by brick by brick. 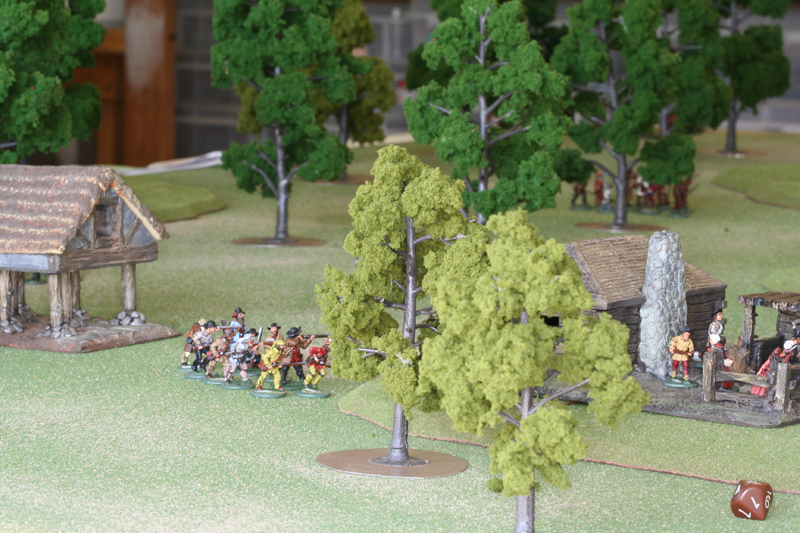 Lance ran another game of Pig Wars to dedicate the newly built and the future to be dedicated Symthe Hardaway Memorial Chapel. 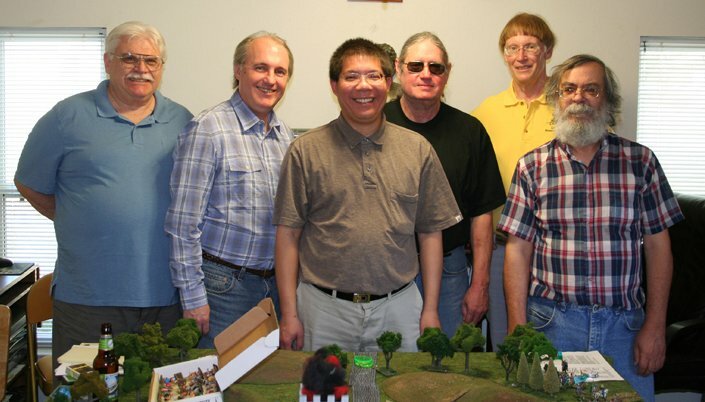 Mike Miller (Dallas); Dave McLellan, Bob Miller and Everette Chung (Austin); Jim D (Mooreville); Lance Hardaway (Temple); RIchard Wheet (Waco). 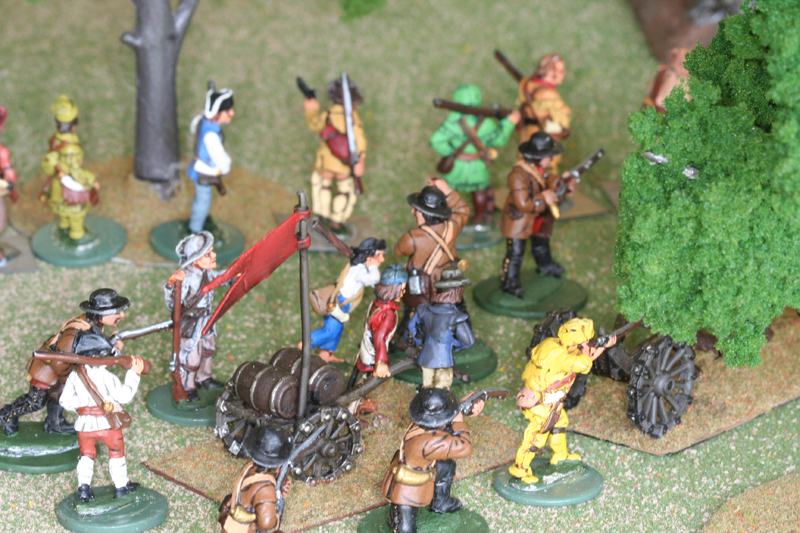 Mike Miller from Dallas came down to run a game of Pig Wars. 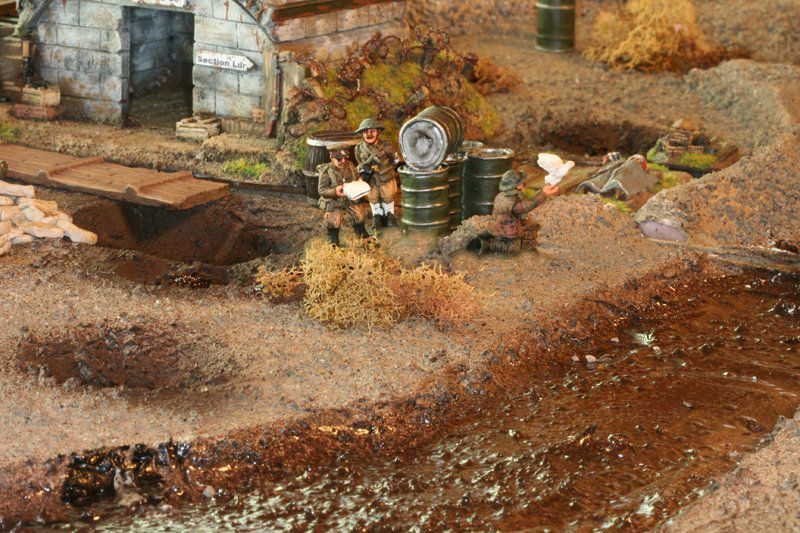 Dave Allnut and Dave McLellan came up from Austin and Jim Dunnam, Lance Hardaway and RIchard Wheet were from the Waco area of central Texas. 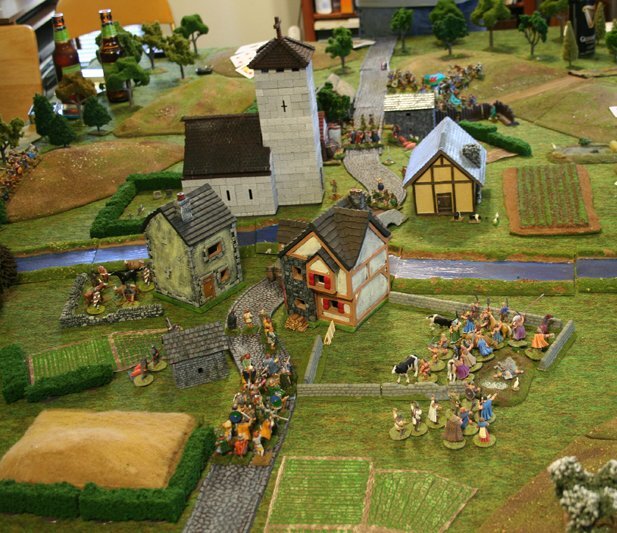 The two Daves and Lance played the villagers and the local feudal lords, with Jim, Mike and Richard playing the ravaging hordes. 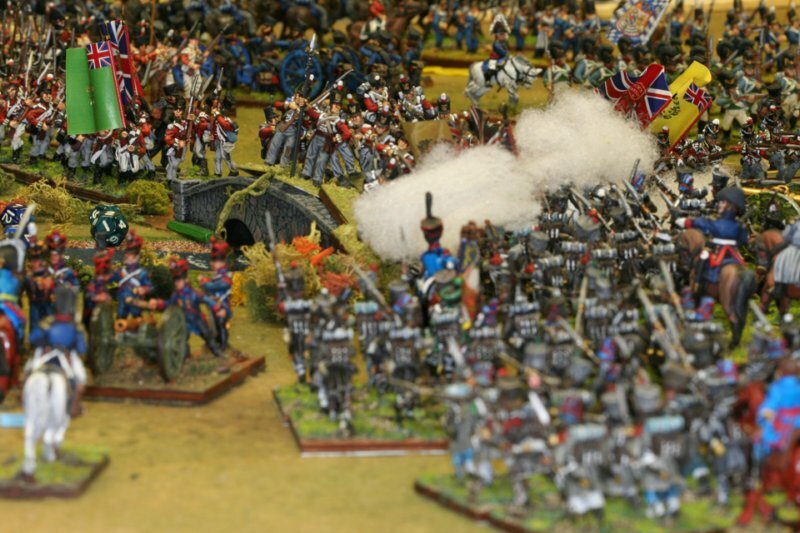 The Battle of Waterloo - Millenniumcon Challenge Cup winner - Millenniumcon 12 - Round Rock, Texas - November 7, 2009. 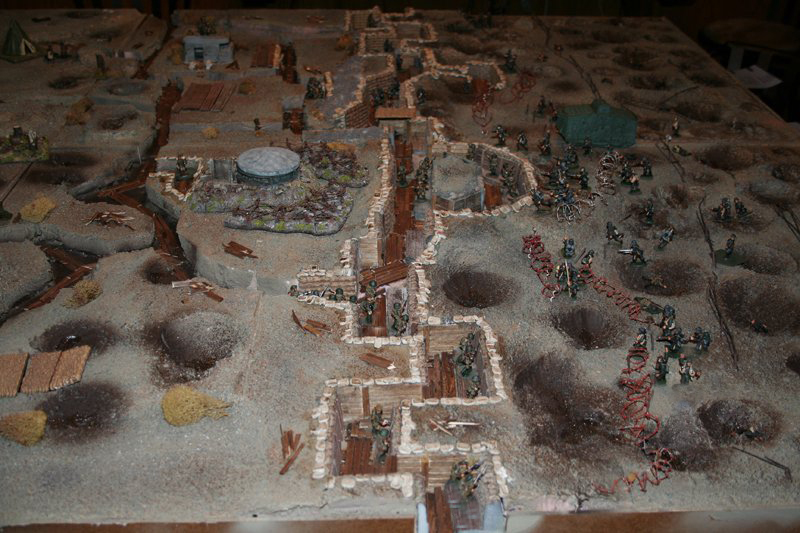 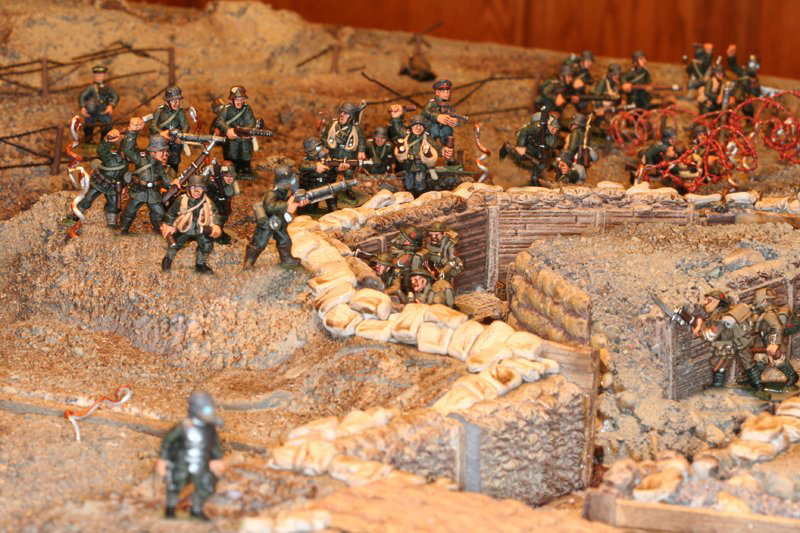 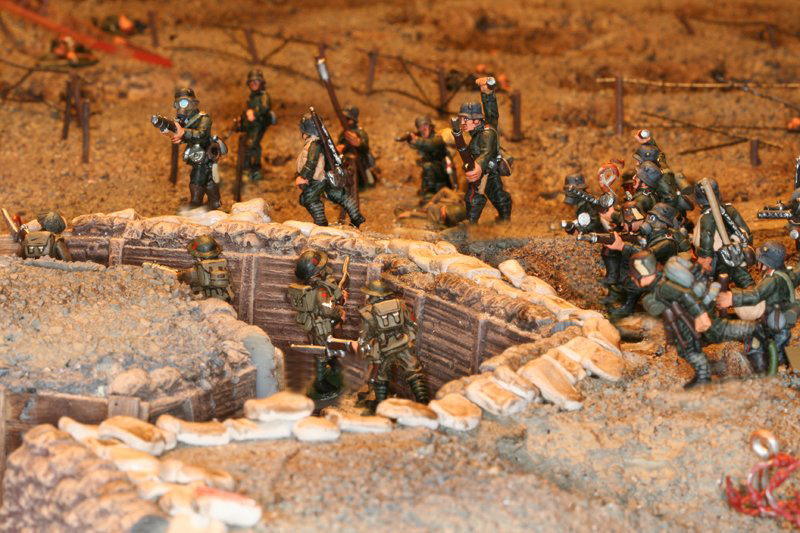 A 3d scale terrain model of the actual battle using 10mm figures (every unit in the battle). 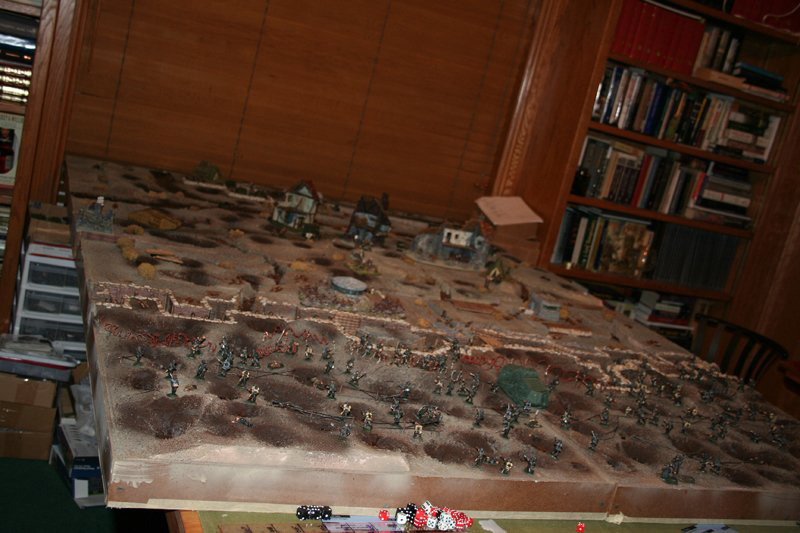 The board was produced and figures based by the Waco LSHM Chapter, the figures painted by Fernando, the Carnage and Glory II computer aide was tested by the author for this battle. 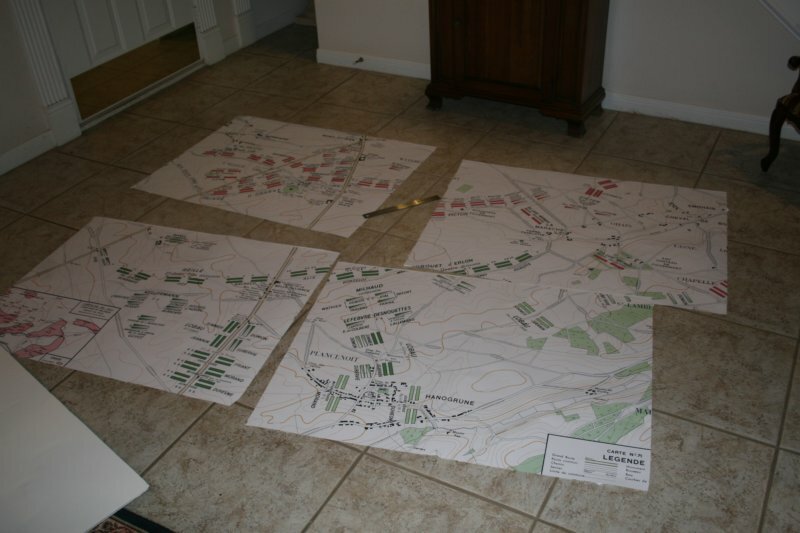 On site survey of the battlefield in France done by Mike Gesser. 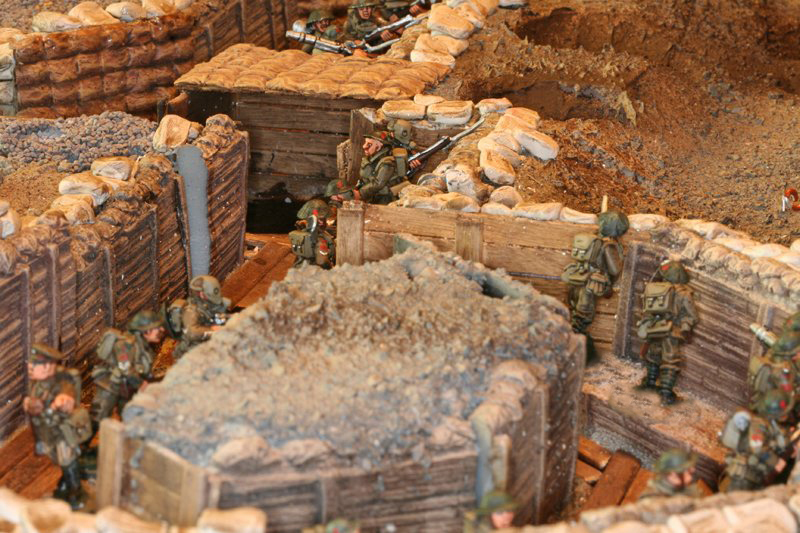 Supervision, financing, and prep work done by Jim Dunnam. 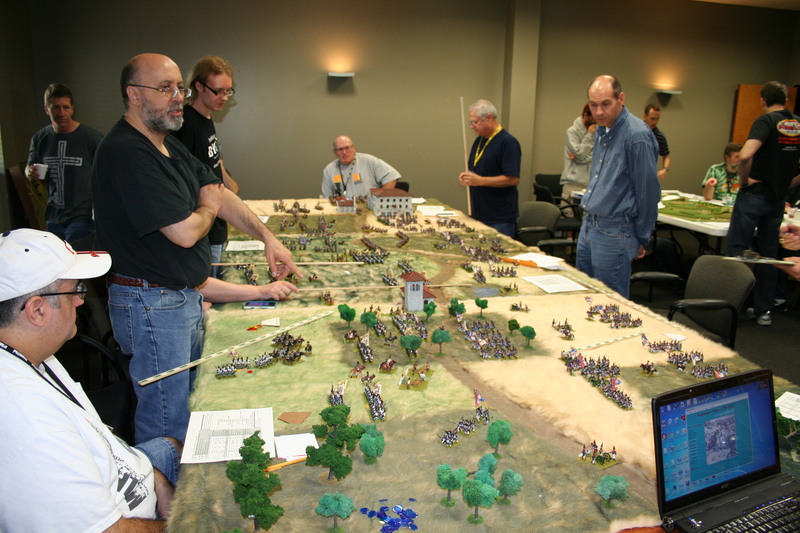 GM'd by Jim Dunnam with computer input during the game by Trace Bowen. 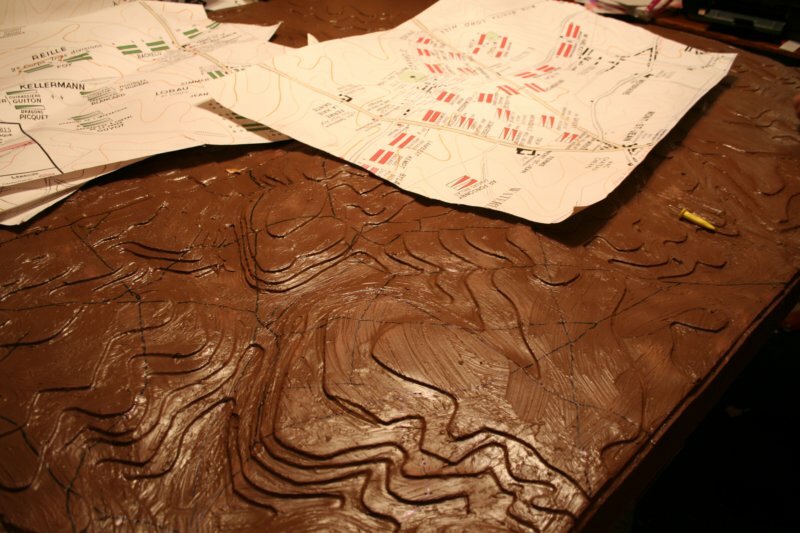 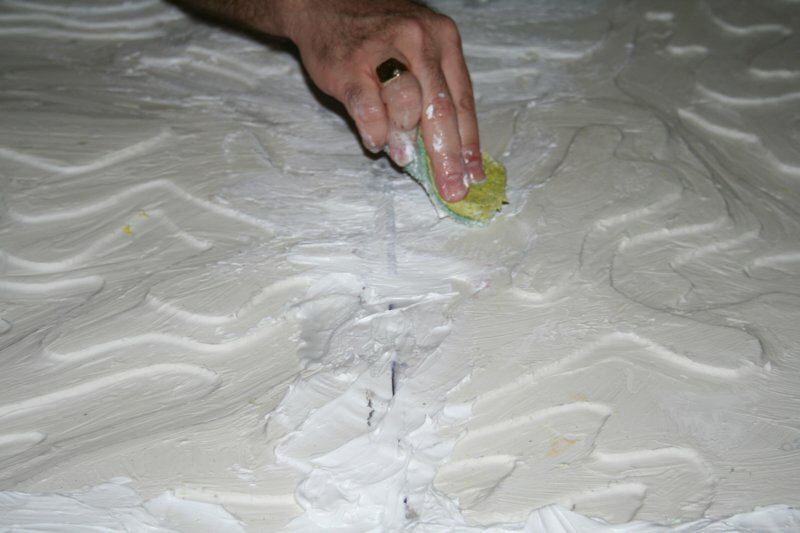 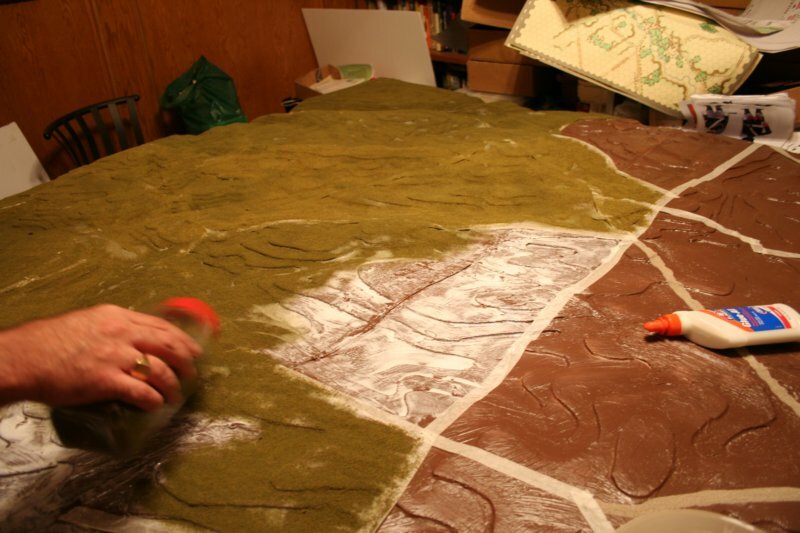 Jim et al are currently structuring a 3D replica of the terrain the Battle of Waterloo was fought upon. 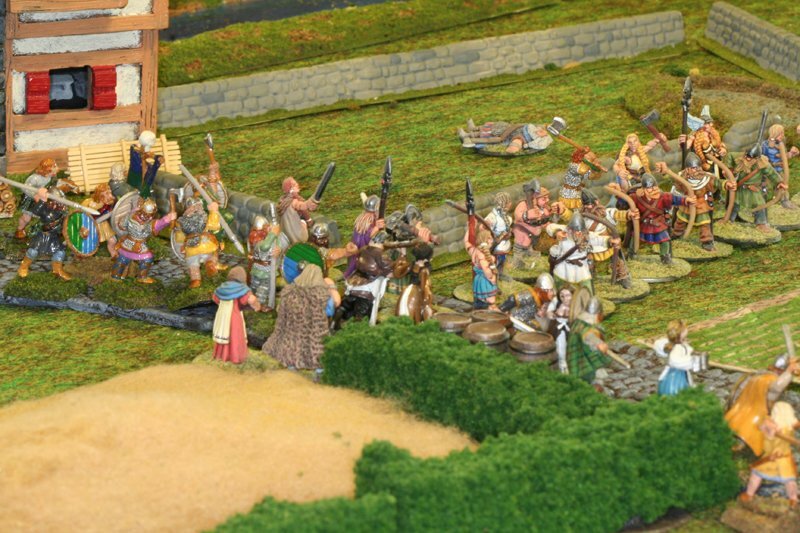 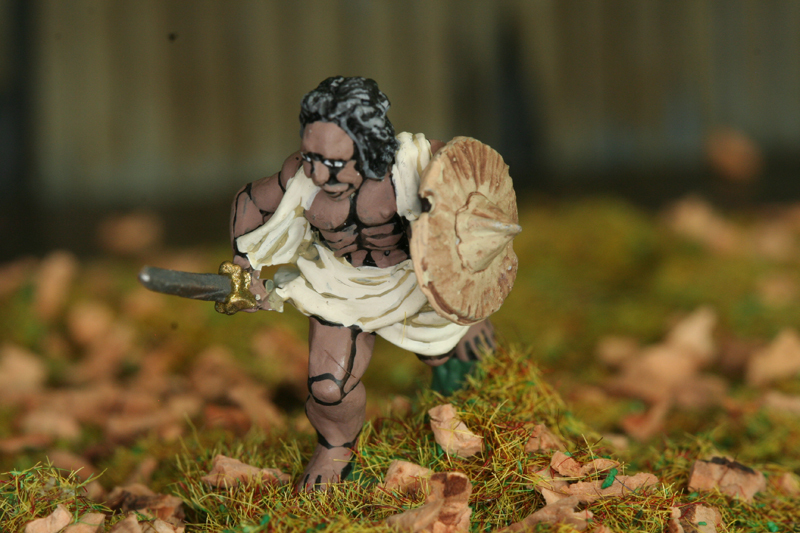 The miniatures will be 10MM scale.